The Honourable Wayne Garland, Executive Chairman, of the Turks and Caicos Islands Tourism Board talks about the latest developments going on in the Caribbean islands including the Seven Stars and Ritz Carlton properties as well as a and a number of boutique properties. The islands are also focusing on the European market. Providenciales is now extending its runway to 10,000 feet so it can accommodate Boeing 777s. 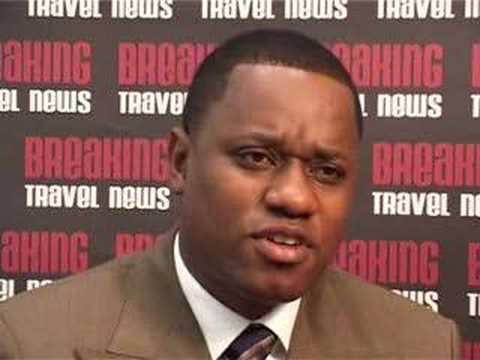 The interview was conducted by Breaking Travel News at Caribbean Marketplace. Breaking Travel News interviews Lindsey Musgrove, Director of Tourism, Turks & Caicos, discusses planned infrastructural improvements and airport developments on the islands. BTN caught up with Hon. Michael E. Misick, LLB, Chief Minister, Turks and Caicos Islands, B.W.I., back at the AHIC in May to find out what Turks and Caicos has in plan over the coming months as the five star product continues to rapidly expand to increasing demand. Turks and Caicos is the in word in the Caribbean at present and owing to this CTN is re-running this exclusive interview.